Cesc Fabregas OUT and Real Madrid attacking midfielder IN?? According to reports, Cesc Fabregas is another who has been told that his services are no longer required at Chelsea as Antonio Conte looks to sign one of Real Madrid's attacking midfielders as a replacement. James Rodriguez is a name that many of us will be aware of after an amazing impact in the 2014 World Cup for Colombia. Signed shortly after the competition by Real Madrid for a cool £63m, it appeared that Rodriguez would become the next big thing the Spanish capital. Three seasons on and it's fair to say that he has not had the impact in La Liga that many had hoped and has become surplus to requirements at Real. Rodriguez was not even named on the bench for the Champions League Final a couple of weeks ago. Having seemingly lost out to Manchester United for Alvaro Morata, Antonio Conte has turned his focus to James Rodriguez with Real asking for a profit on their initial investment, a fee of £70 has been touted to sign him. Whether or not the Chelsea board would want to sanction such an extortionate about of money on someone who has hardly featured for Madrid this season is yet to be seen with a massive move being touted for Romelu Lukaku. 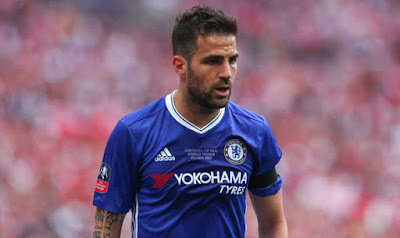 It seems that the move for Rodriguez has more to it than first thought and that's because of unconfirmed reports that Cesc Fabregas has been told by Antonio Conte that he is not part of his plans for next season and is free to leave Chelsea this summer. Now for me there is to sides to the story with Fabregas and his current situation. On the positive side, we have seen his ability to unlock the door on numerous occasions to make the difference in a Chelsea shirt. He has a presence about him on the football pitch of which I do not see with anyone else when it comes to picking a pass from nothing. His link up with Diego Costa has been apparent for three seasons now with two instances this season being his sumptuous through ball in between two defenders for Costa at Watford and his ball to Costa at Manchester City that changed the game. It's having someone in your ranks that can do that when very few can is what can win you games and games on the biggest stage of all. On the flip side is a liability without the ball and we have to be honest. I commend the man 100% for his effort and his stamina to run as much as he does in the game however, he cannot tackle and lacks pace to be someone that the manager could rely on week in, week out. We have seen Nemanja Matic struggle two seasons ago playing next to him because when he lost a tackle or was caught out of position, he struggled to get back into his defensive shape which mean that Matic was pulled all over the place. The addition of N'Golo Kante has highlighted just how important that deeper midfield position has become these days and especially in Antonio Conte's 3-4-3 formation. We need someone there that is mobile, has plenty of stamina and can win the ball back. Unfortunately, what Cesc Fabregas gives you with the ball, he doesn't without it and that's why he started very little games this season compared to his two previously since he signed for Chelsea. As with any transfer window, there is always plenty of speculation that will run right through until the end of August and if anything, the rumour mill will only intensify as it promises to be the busiest transfer window in the Premier League ever with record numbers being spent as clubs look to improve their options and our rivals look to invest heavily in their squad as they look to close the gap on Chelsea. 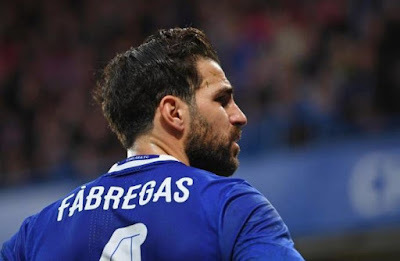 Is there any substance in Cesc Fabregas being told that he no longer features at Chelsea beyond this season having won the Premier League twice in three seasons? 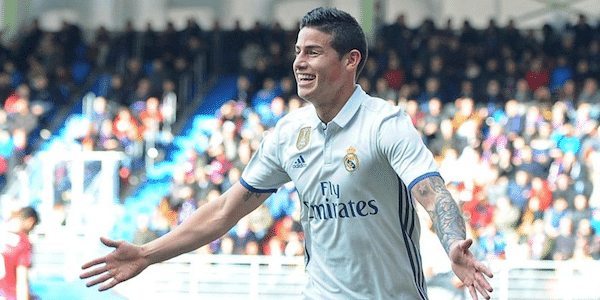 Is there any substance in reports linking Chelsea with a £70 move for James Rodriguez? Only time will tell. For all the latest Premier League and Champions League odds ahead of next season make sure you head to sport.netbet.co.uk for all the latest odds!